A mid-weight nylon with water resistance and scads of versatility, the MA-1 Navy fighter pilot jacket was the first military flight jacket to cross over into civilian fashion. 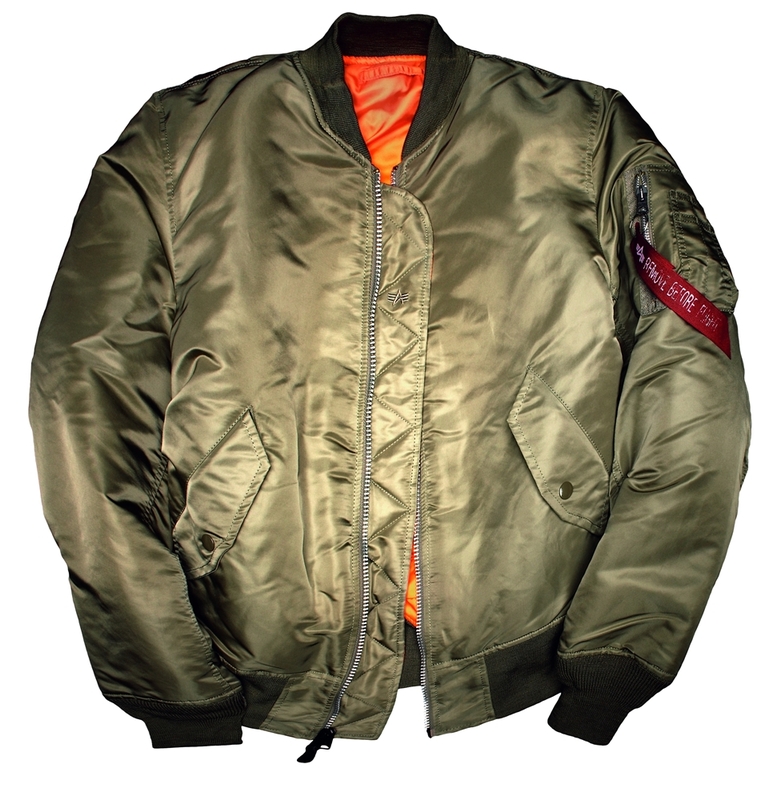 Our nylon flight jacket includes knit cuffs, a knit collar and waistband, as well as a strong front zipper with storm flap for warmth. Our MA-1 jackets are reversible to bright orange, making them ideal for rescue missions and other times when visibility is imperative. This current version has been kept as close as possible to the classic specifications, which debuted in 1950 and received several revisions during the 1960’s. Please indicate in "Note" which size would You like to order! • Comfort rated in temperatures from 25-40 degrees Fahrenheit.